1. The AIPS Sport Media Awards 2019 are open to professional journalists, whether directly employed or freelancers. 2. Applications may come from AIPS cardholders as well as those who are not members of the association but must come from one of the countries represented by the 161 member national associations. (Please refer to the full list on www.aipsmedia.com). 3. All entrants must be persons who are 18 years of age or older on or before September 18, 2018. Each eligible award consists of an original trophy and prize money of USD 8.000 for the winner; second placed will receive USD 3.000 and third placed USD 2.000 in the Photography ("Sport Action" and "Portfolio"), Writing ("Best Column" and "Best Colour Piece"), “Audio” and Video ("Athlete Profile", “Documentary" and “Short feature”) categories. Winners of each of the “Young Reporter under 30” categories (Photography, Writing and Broadcasting) will receive a career-boost opportunity: a scholarship in a major international sports event. “Young Reporter under 30” categories do not include second and third place. “Special Awards” are not open to submissions. Winners will be awarded with a trophy, without prize money. The “Special Awards” categories do not include second and third place. The AIPS Sport Media Awards will be open to professional journalists, whether directly employed or freelancers. Applications may come from AIPS cardholders as well as those who are not members of the association but must come from one of the countries represented by the 161 member national associations (Please refer to the full list on www.aipsmedia.com). Only entries published between September 18, 2018, and October 7, 2019 will be accepted. Entries can be made in any language. English translation (for written and audio submissions) and English subtitles (for videos) is welcome as additional material with submissions and could also be required in the future. Submissions can be made only via the Awards website before October 7th, 2019. Supporting documents and proof of publication are also to be submitted only via the website. A maximum of 2 separate submissions per entrant are allowed across all categories of the awards. All entrants must be persons who were at least 18 years of age on September 18th, 2018. The Awards will be assessed by a Jury of 12 respected professionals, including the President of the Jury, drawn from leading sports media organisations and backgrounds ranging across the sports media spectrum and the Awards categories. The jurors are chosen by the president of the jury, AIPS president Gianni Merlo. The jury will base its deliberations on nominations put forward by the AIPS Executive Committee. The AIPS Executive Committee is charged with shortlisting ten potential candidates for each award category for consideration by the Jury. The Jury will select from the nominations three finalists who will be invited to the final awards ceremony in February 2020. O The Jury will meet to determine the winners the day before the ceremony. The Jury is charged with the responsibility and authority to accept, substitute or reject nominations put forward by the 24 AIPS Executive Committee members, and may in extraordinary circumstances offer its own suggestions. 1. The AIPS Sport Media Awards 2019 are open to professional journalists, whether directly employed or freelancers. Applications may come from AIPS cardholders as well as those who are not members of the association but must come from one of the countries represented by the 161 member national associations. (Please refer to the full list on www.aipsmedia.com). 5. Each entry must have had its first publication or broadcast between September 18, 2018 and October 7, 2019. Proof of publication must be submitted with the entry. 6. Applicants can submit entries in any language. They can submit an English translation with their entry but are not obliged to. All entries that are not in English will be screened by a native speaker from the respective member association of AIPS in the first phase. If judged as valuable, the entry will be translated into English via a professional service. 8. Entrants are responsible for ensuring that their entry meets all eligibility requirements and selecting the most appropriate category for their entry(s). The AIPS Awards organisers reserve the right to move an entry into another category when it would be more appropriate there. 9. In the event of entrants submitting a series of articles, or body of work, this will count as one entry. The entrant must select only one story that best reflects the content of the series. If he sends two stories belonging to the same series, only the first one will be taken in account. 12. Photo entries must be provided from professional photographers only. Photographers may be asked to provide proof of their professional status. The photographs entered in the contest must be made by the photographer who owns and retains the copyright for the photo. A photograph may not be entered more than once i.e. a photo entered into the Action category cannot be entered into the Portfolio category and vice-versa. No team entries will be accepted. All entries must carry complete English captions. Photographs may not be manipulated to block out distracting elements or to make significant changes in color and contrast. Only cropping or removing dust and scratches are allowed. 13. Entries should be made only via the website and in accordance with the instructions given on the entry form and must be submitted on, or before, 6 pm CET on October 7, 2019. Entries arriving after this date will not be accepted except in extraordinary circumstances. Acceptance after the deadline will be at the AIPS Awards’ organisers sole discretion. 15. If an entrant is found to have breached these Rules or acts in any way that brings or would be likely to bring the reputation of the AIPS Awards into disrepute, the Awards’ organisers reserve the right to disqualify an entrant or to remove or withdraw an Award. 18. Finalists selected by the Jury will be invited to and must participate in the finalists’ programme in February 2020. The AIPS Awards organisers shall pay for and arrange all flights, transportation accommodation and certain scheduled meals and will provide visa assistance for the entrant (“Travel Arrangements”). Travel Arrangements will be confirmed with the selected entrant closer to the travel date but will be on the basis of one adult, return flights and hotel accommodation. Travel Arrangements are not transferable, exchangeable nor redeemable for cash. 20. 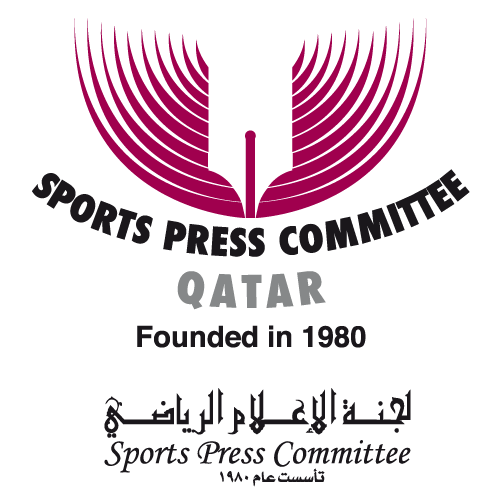 Participation in the AIPS Sport Media Awards is open to all professional journalists and photographers, except of AIPS Media staff, AIPS Sport Media Awards staff, current members of the Jury and AIPS Executive Committee members (as shown in www.aipsmedia.com). 21. Participants for the Young Reporter category must be born on or after January 1, 1990. It is not possible to make two different submissions in the Young Reporter category. Each category allows to submit one file only (one picture for Photography, one article for Writing, one video or audio file for Broadcasting). “Young Reporter” categories do not include second and third place: the three subcategories will have a direct winner. Each winner wins a scholarship in an international sports event including airplane tickets, accommodation and expenses covered by AIPS. Out of the two submissions per person, only one can be used for Young Reporter category, but it is still possible to compete in one of the other main categories.